Industrial lock with aluminium housing and stainless steel mechanism. We advise this lock as a standard for all your industrial gates. The 20 mm continuous adjustability of the bolts allows a perfect alignment of your locking mechanism. A massive stainless steel throw of 23 mm guarantees a secure locking. 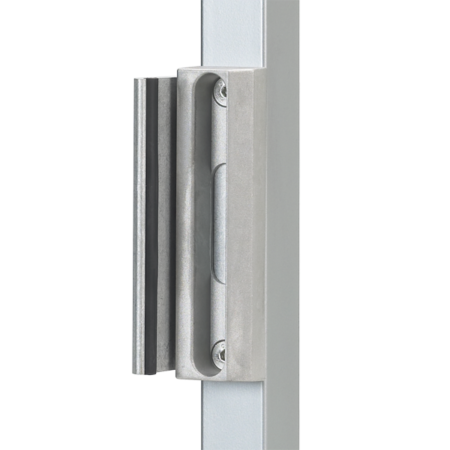 Standard supplied with aluminium handle pair.